The Planted Tank Forum > General Planted Tank Forums > General Planted Tank Discussion > I found Aquario's Neo Diffuser! I found Aquario's Neo Diffuser! 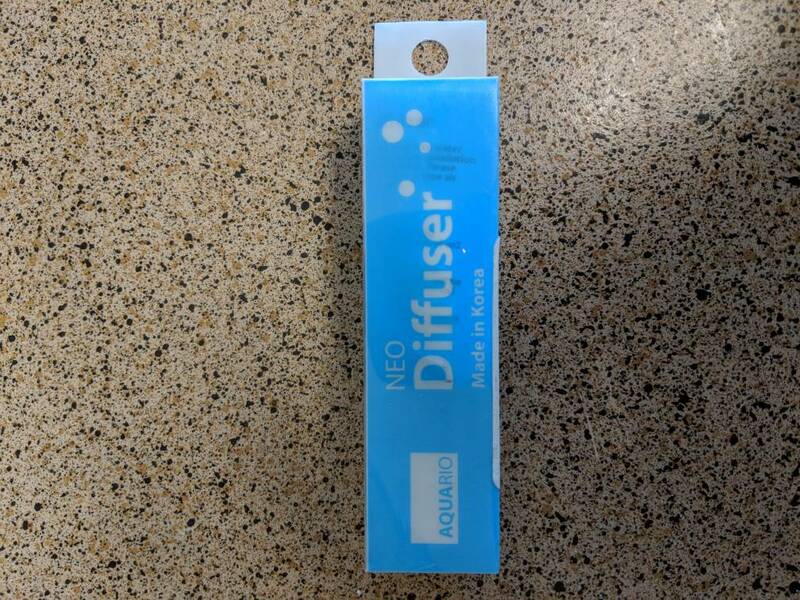 I'm not sure how well known this is, but I've found that Aquario's Neo Diffuser is a widely used co2 diffuser used by aquascapers around the world. It's made out of acrylic instead of glass and it has a very large ceramic plate that produces super tiny bubbles. But there's one problem: I couldn't find a US based seller for the life of me. All the sellers I found were based out of Europe or Asia. So I settled on some random co2 diffuser on Amazon that looked similar to the neo diffuser, but no where does it say who makes it. It arrived today and I was so surprised to find that it was Aquario's Neo Diffuser! So I hope someone finds this helpful. It is helpful and thank you for posting the info. That’s great George Farmer has popularized this defuser on his YouTube videos. did you get the small or the large? I got the large! It's for my new 48 gal. I bought the small for my 60p and it has produced the tiniest bubbles I’ve ever seen in a CO2 diffuser. I ended up buying a second as a backup. Does anyone know the best method to cleaning them? I purchased this off Amazon.com and absolutely love it. Got the idea from the George Farmer videos on YouTube. Running the small in my 29 gallon and it does a wonderful job. The best way to clean is 50% regular, unscented bleach with 50% water. Keep the CO2 running and place the diffuser in it. After about 10 min place it in a solution of water and prime (1 cup water to like a tablespoon of prime). Keep lithe CO2 running and leave it in for another 10. You are good to go. 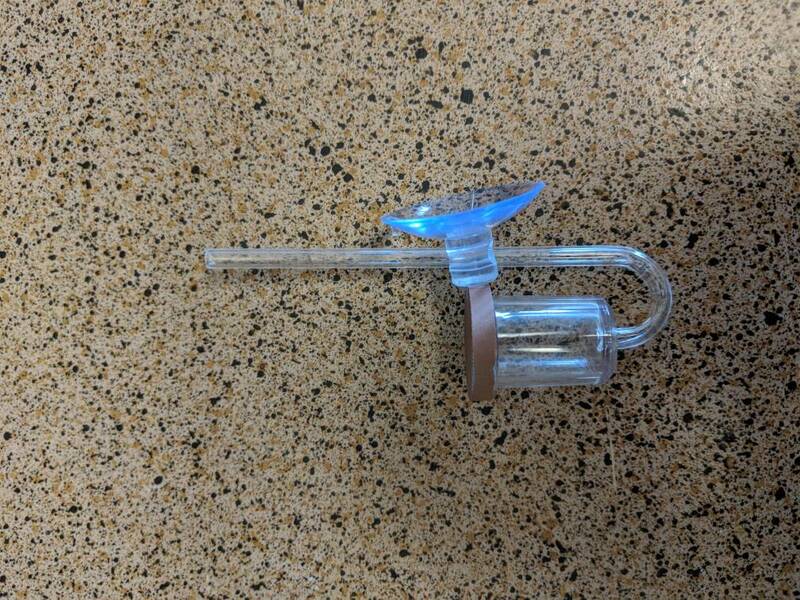 I keep the CO2 running to keep the solution from feeding into the diffuser, courtesy of George Farmer 2 min tip. Darrel, Darrel, EdWiser and 1 others like this. Awesome! Thanks for the tip! How often do you clean it? I've had mine running for a couple of weeks and it's still producing super tiny bubbles. For me every couple of weeks, or when I start to visibly see algae on it. Can someone please clarify the different sizes. Haha they have listed both “big” and “large” as available sizes but don’t give measurements. The “big” one has a brown disc, and the “large” appears to have a white disc. It looks like the “large” is the bigger of the two, but I want to make sure it’s still the same product. Experience: worked in fishroom of Eddies Aquarium in Albany all through college, 20 years of keeping reef tanks, planted tanks, and dart frog vivariums. Current/in-progress tanks: 20 gallon hi tech tank in office, 120 gallon nature/tetra aquarium at home. Philosophy: work with what you’ve got, and make choices based on the conditions that easiest for you to maintain over time. You’ll want to get either the “CO2-Small” or the “CO2-Big”. I have a 60P and the CO2-Small was perfect for my tank. The CO2 diffusers have the brown disks while the air stones have white. Thanks! Given the fairly reasonable price tag on amazon, I picked up both the “large” and “big”. They arrived today and as Darrel mentioned the one with the brown disk is labeled CO2 large and the white disk is just labeled “large” and came with a plastic valve to control flow from air pump. The white disk is significantly thicker than the brown disk as well. Even though the white disk doesn’t specify that it’s specifically for co2, I think it’s worth at least trying out. Should be interesting to run them side by side and compare the performance. Tank is finally coming on Tuesday, and I’ll try to post an update with some side by side photos later in the week. 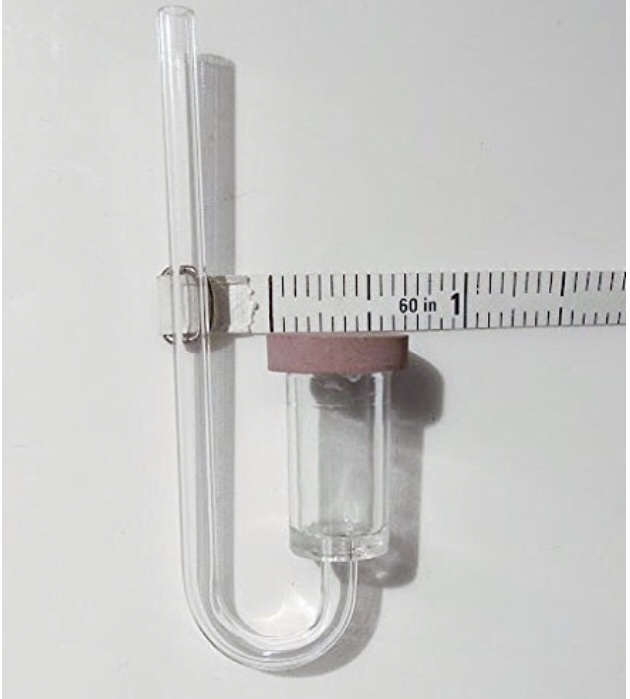 What are the measurements of the CO2-small?